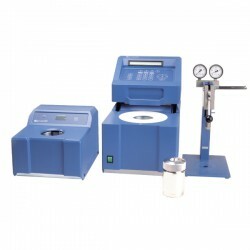 Melt flow indexer (standard type) TATEYAMA KAGAKU L260 Call to price This is a extruding type plastimeter which is made for testing the flo of thermal plastic resin. It is made to meet JIS K7210, ASTM 01238 and ISO 1133. 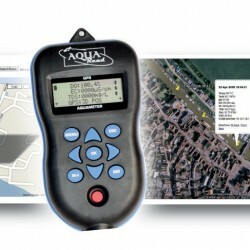 GPS Aquameter: Handheld device with built in GPS data tagging Call for price The GPS Aquameter is the original handheld water quality meter with built in GPS. The built in GPS receiver allows the meter to record the location of every dataset, meaning you will always know where your data was captured. The meter is designed to be picked up and used by anyone intuitively. It requires no boot up or warm up time and allows you to record data with a single button press. 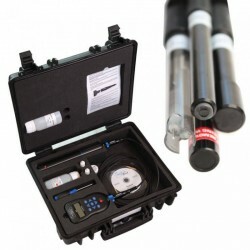 AP-2000 / AP-2000-D: Advanced portable multi-parameter Aquaprobe Call for price The AP-2000 is the smaller of our advanced portable multiparameter water monitoring probes. It comes with a range of standard sensors included, it also offers some customisation options that allow you to add even more sensors to the probe. All of our probes are constructed from tough marine grade aluminium that has been hard anodised, making it suitable for use in both fresh and salt waters. LeveLine-EWS - Early flood warning system Call for price Flooding is a continuous threat for many people in the UK. The LeveLine-EWS functions as both an early flood warning system, providing instant alerts to rising water levels and as a continuous water level monitor. 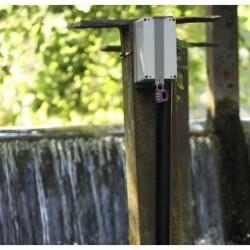 AquaStation – Self calibrating remote water quality monitoring station Call for price The AquaStation independent monitoring station is a breakthrough in remote water quality monitoring. 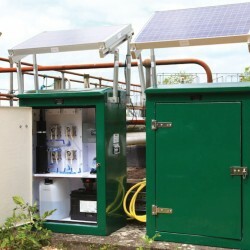 The AquaStation is able to independently collect data, keep its sensors clear of fouling and calibrate its sensors remotely via its built in telemetry system. 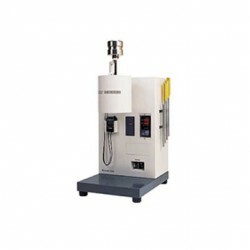 IKA C 1 Calorimeter Call for price The C 1 static jacket oxygen bomb calorimeter represents a giant leap forward in calorimeter technology by featuring a high degree of automation in a compact design; the smallest calorimeter footprint available. IKA C 1 Package 1/10 Call for price The C 1 static jacket oxygen bomb calorimeter represents a giant leap forward in calorimeter technology by featuring a high degree of automation in a compact design; the smallest calorimeter footprint available. 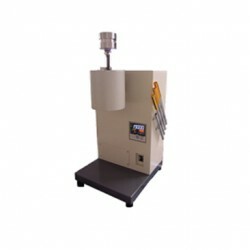 IKA C 6000 global standards Package 1/10 Call for price The C 6000 global standards oxygen bomb calorimeter combines modern technology, variability and automation (adiabatic, isoperibol; dynamic modes) in one instrument. It operates according to all bomb calorimeter standards, such as e.g. the DIN, ISO, ASTM, GOST and GB. The operator can choose between three different starting temperatures (22 ºC, 25 ºC, 30 ºC) in each measuring mode: adiabatic, isoperibol or dynamic. 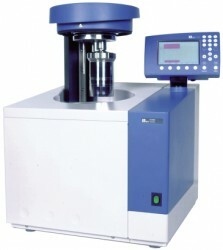 IKA C 6000 global standards Package 1/12 Call for price The C 6000 global standards oxygen bomb calorimeter combines modern technology, variability and automation (adiabatic, isoperibol; dynamic modes) in one instrument. It operates according to all bomb calorimeter standards, such as e.g. the DIN, ISO, ASTM, GOST and GB. 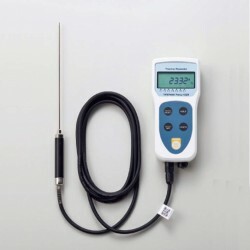 The operator can choose between three different starting temperatures (22 ºC, 25 ºC, 30 ºC) in each measuring mode: adiabatic, isoperibol or dynamic. Due to the spherically shaped decomposition vessel head, the wall thickness was able to be reduced, allowing for faster heat transfer which results in a shorter time measurement. Due to the variety of different interfaces (PC, Ethernet, SD-card, balance, printer) this unit is easily adaptable depending on the customer’s specific application needs. 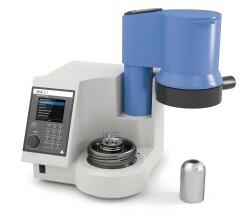 Further adaption to data management and LIMS is possible with our calorimeter software C 6040 Calwin (Accessory). 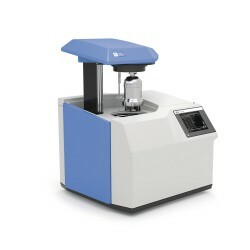 IKA C 6000 global standards Package 2/10 Call for price The C 6000 global standards oxygen bomb calorimeter combines modern technology, variability and automation (adiabatic, isoperibol; dynamic modes) in one instrument. It operates according to all bomb calorimeter standards, such as e.g. the DIN, ISO, ASTM, GOST and GB. The operator can choose between three different starting temperatures (22 ºC, 25 ºC, 30 ºC) in each measuring mode: adiabatic, isoperibol or dynamic. Due to the spherically shaped decomposition vessel head, the wall thickness was able to be reduced, allowing for faster heat transfer which results in a shorter time measurement. Due to the variety of different interfaces (PC, Ethernet, SD-card, balance, printer) this unit is easily adaptable depending on the customer’s specific application needs. Further adaption to data management and LIMS is possible with our calorimeter software C 6040 Calwin (Accessory). IKA C 6000 global standards Package 2/12 Call for price The C 6000 global standards oxygen bomb calorimeter combines modern technology, variability and automation (adiabatic, isoperibol; dynamic modes) in one instrument. It operates according to all bomb calorimeter standards, such as e.g. the DIN, ISO, ASTM, GOST and GB. The operator can choose between three different starting temperatures (22 ºC, 25 ºC, 30 ºC) in each measuring mode: adiabatic, isoperibol or dynamic. Due to the spherically shaped decomposition vessel head, the wall thickness was able to be reduced, allowing for faster heat transfer which results in a shorter time measurement. Due to the variety of different interfaces (PC, Ethernet, SD-card, balance, printer) this unit is easily adaptable depending on the customer’s specific application needs. Further adaption to data management and LIMS is possible with our calorimeter software C 6040 Calwin (Accessory). IKA C 6000 isoperibol Package 1/10 Call for price The C 6000 isoperibol oxygen bomb calorimeter combines modern technology, variability and automation (isoperibol and dynamic modes) in one instrument. It operates according to all bomb calorimeter standards, such as e.g. the DIN, ISO, ASTM, GOST and GB. The operator can choose between three different starting temperatures (22 ºC, 25 ºC, 30 ºC) in each measuring mode: isoperibol or dynamic. Due to the spherically shaped decomposition vessel head, the wall thickness was able to be reduced, allowing for faster heat transfer, which results in a shorter time measurement. Due to the variety of different interfaces (PC, Ethernet, SD-card, balance, printer) this unit is easily adaptable depending on the customer’s specific application needs. Further adaption to data management and LIMS is possible with our calorimeter software C 6040 Calwin (Accessory). IKA C 6000 isoperibol Package 1/12 Call for price The C 6000 isoperibol oxygen bomb calorimeter combines modern technology, variability and automation (isoperibol and dynamic modes) in one instrument. It operates according to all bomb calorimeter standards, such as e.g. the DIN, ISO, ASTM, GOST and GB. The operator can choose between three different starting temperatures (22 ºC, 25 ºC, 30 ºC) in each measuring mode: isoperibol or dynamic. Due to the spherically shaped decomposition vessel head, the wall thickness was able to be reduced, allowing for faster heat transfer, which results in a shorter time measurement. Due to the variety of different interfaces (PC, Ethernet, SD-card, balance, printer) this unit is easily adaptable depending on the customer’s specific application needs. 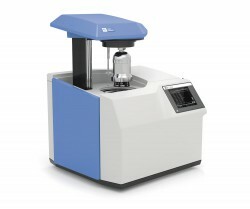 Further adaption to data management and LIMS is possible with our calorimeter software C 6040 Calwin (Accessory). IKA C 6000 isoperibol Package 2/10 Call for price The C 6000 isoperibol oxygen bomb calorimeter combines modern technology, variability and automation (isoperibol and dynamic modes) in one instrument. It operates according to all bomb calorimeter standards, such as e.g. the DIN, ISO, ASTM, GOST and GB. The operator can choose between three different starting temperatures (22 ºC, 25 ºC, 30 ºC) in each measuring mode: isoperibol or dynamic. Due to the spherically shaped decomposition vessel head, the wall thickness was able to be reduced, allowing for faster heat transfer, which results in a shorter time measurement. Due to the variety of different interfaces (PC, Ethernet, SD-card, balance, printer) this unit is easily adaptable depending on the customer’s specific application needs. 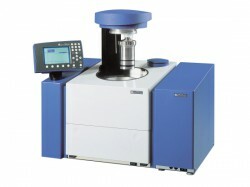 Further adaption to data management and LIMS is possible with our calorimeter software C 6040 Calwin (Accessory). IKA C 6000 isoperibol Package 2/12 Call for price The C 6000 isoperibol oxygen bomb calorimeter combines modern technology, variability and automation (isoperibol and dynamic modes) in one instrument. It operates according to all bomb calorimeter standards, such as e.g. the DIN, ISO, ASTM, GOST and GB. The operator can choose between three different starting temperatures (22 ºC, 25 ºC, 30 ºC) in each measuring mode: isoperibol or dynamic. Due to the spherically shaped decomposition vessel head, the wall thickness was able to be reduced, allowing for faster heat transfer, which results in a shorter time measurement. Due to the variety of different interfaces (PC, Ethernet, SD-card, balance, printer) this unit is easily adaptable depending on the customer’s specific application needs. Further adaption to data management and LIMS is possible with our calorimeter software C 6040 Calwin (Accessory). 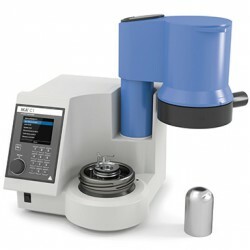 IKA C 2000 basic version 1 Call for price The C 2000 basic IKA- calorimeter is a combustion calorimeter for determining gross calorific values of liquid and solid samples. A high level of automation with extremely simple handling characterizes this instrument. In addition to the isoperibolic measurement procedure (static jacket), a dynamic (reduced-time) working method is also available. To provide the calorimeter with cooling water, it needs to be connected to a thermostat f.e. IKA KV 600 ( accessory) or a firmly installed water connection. The C 2000 basic is equipped with a very convenient console to operate the unit. 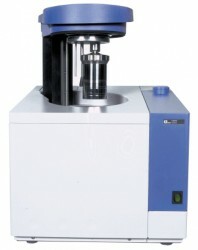 IKA C 2000 basic version 2 Call for price The C 2000 basic IKA- calorimeter is a combustion calorimeter for determining gross calorific values of liquid and solid samples. 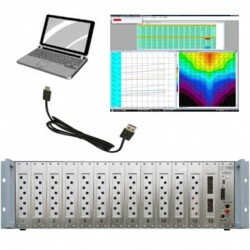 A high level of automation with extremely simple handling characterizes this instrument. In addition to the isoperibolic measurement procedure (static jacket), a dynamic (reduced-time) working method is also available. To provide the calorimeter with cooling water, it needs to be connected to a thermostat f.e. IKA KV 600 ( accessory) or a firmly installed water connection. The C 2000 basic is equipped with a very convenient console to operate the unit. Thus it is possible to perform determinations of gross calorific values of liquid and solid samples in adiabatic (approx. 14 - 18 min), isoperibolic (approx. 22 min) and dynamic (reduced time: approx. 10 min) mode. A high level of automation in addition to an extensive range of accessories leave nothing more to wish for.